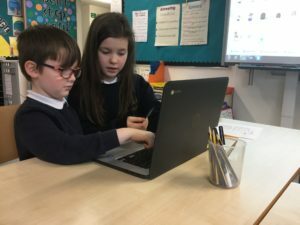 P5/6 and P2AP are paired up this year to improve digital technology skills. 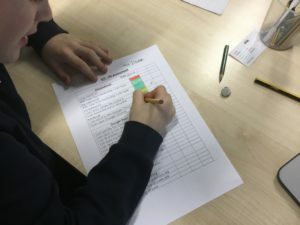 This term, P5/6 conducted a simple assessment to see what the P2’s could do with a few different programmes. 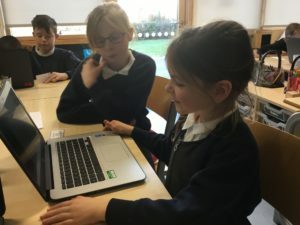 This even included how to turn on the Chromebook, identifying the Google Chrome icon and typing their name in a Google Document. 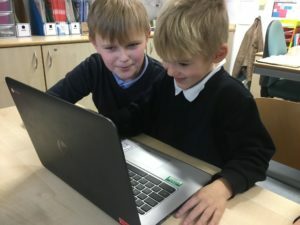 P5/6 have begun to show P2 some of the tools in the Read and Write toolbar. They have explored using the Talk & Type tool and the Picture Dictionary. They are becoming familiar with how to copy and paste a picture from the dictionary into their Google Doc. 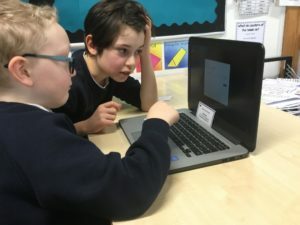 The older pupils have to be reminded to let the P2’s do all the work on the computers. 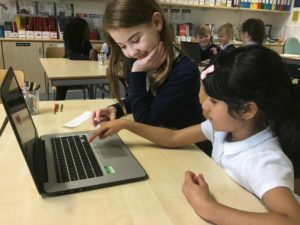 They are finding it a welcome challenge to be the teacher to younger children.